Karl Rove -- so he's still a thing! 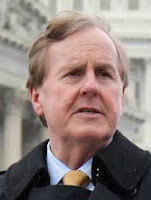 -- is fundraising for incumbent US Congressman Robert Pittenger. I think we knew that already but had stifled a yawn in its general direction. But then this: Chaos King Steve Bannon has now come out for Pittenger's holy primary challenger, Rev. Mark Harris, whom Pittenger managed to beat in the primary of 2016 by a mere 134 votes. Karl Rove may have inadvertently invited Bannon into the 9th District primary. Oops. Rove published a tart take-down of Bannon for meddling in Senate Republican primaries, and Bannon responded within hours by expanding his war on the Republican establishment to the Pittenger House seat, probably because Pittenger is one of Rove's pet projects. Take that, Turd Blossom! Karl Rove is one of the higher profile Republican establishment figures who has consistently criticized Trump as an imploding star who's going to create a sucking black hole for many Republican office-holders. Rove famously said of Trump last June in the Wall Street Journal -- his organ of choice, wherein he also blasted Bannon last Thursday -- "His chronic impulsiveness is apparently unstoppable and clearly self-defeating. Mr. Trump may have mastered the modes of communication, but not the substance, thereby sabotaging his own agenda." Rove also said this: "Mr. Trump has figured out how to tweet his way around the mainstream media. Yet by disregarding basic fact checking, he is deepening the already considerable doubts Americans have about his competence and trustworthiness." Meanwhile, Rev. Mark Harris, who can pound the living hell out of any Bible you give him, has out-raised the incumbent Pittenger. 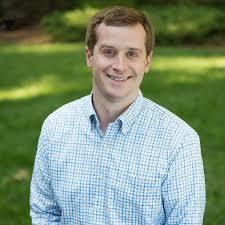 But also know this: the likely Democratic challenger in the 9th District, former Marine Dan McCready, has out-raised both of them, reporting $416,000 for the quarter and bringing his total to $875,000 for the year.